Timothy Anness was appointed Head of Advance Design in June 2009. In this position, Anness is responsible for all interior and exterior advance packaging design activities for all Chrysler, Jeep® and Dodge brand vehicles. 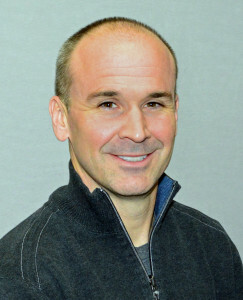 He reports to Ralph Gilles – Head of Design, Fiat Chrysler Automobiles N.V.
Anness has held a variety of positions of increasing responsibility in the Product Design Office, including most recently, the position of Director of Advance Design. Anness joined the company in 1990 as a designer. His design portfolio includes the 2008 Chrysler and Dodge minivans, Chrysler 300C, Dodge Charger, 1999 Jeep Grand Cherokee and concepts for Plymouth Prowler and Jeep Jeepster. In the Advance Design Studio, designers work many years into the future and may look at trends and innovation outside of the automotive industry to anticipate consumer tastes. Yet, Anness never loses sight of the core value to create a compelling, beautiful design. Anness finds design inspiration very close to home – his children. He cites their unfiltered creativity as a resource. Anness supports the FCA US LLC sponsorship of the industrial design program at his alma mater, the University of Cincinnati, where he earned a Bachelor of Science degree in industrial design in 1990. In recent years, he also has advised seniors at the College for Creative Studies in Detroit. Anness was born in Cincinnati.